Think Kidneys increases awareness of the prevention, detection and treatment of acute kidney injury for health and care professionals. What is acute kidney injury and what causes it? Your kidneys are vital organs in your body and are responsible for keeping you healthy. Acute kidney injury is a sudden and recent reduction in a person’s kidney function. It is often referred to as AKI. Kidney function is measured by blood tests and acute kidney injury is identified in the same way. Acute kidney injury can be caused by a number of things. It might be because of stress on the kidneys, due to other illnesses or infection. It might be due to severe dehydration or it could be the result of the side effects of some drugs, when you are unwell. Sometimes it’s due to a combination of factors. Acute kidney injury can get better in a few days or weeks, but sometimes it causes ongoing problems. Although called acute kidney injury it is not caused as a result of a physical blow to the body. Nor is it caused by excessive intake of alcohol, yet it should be remembered that too much alcohol can damage your other organs, and cause you to be dehydrated. If you are being cared for by a doctor for a long term illness, you should check when you next see him/her whether or not your illness makes you more likely to develop kidney disease in some circumstances. If so, then if you become dehydrated, which can happen if you have been vomiting or you’ve had diarrhoea, you should seek medical advice. This applies particularly to the elderly. If you have concerns about your kidney function you should seek advice from your GP. If you are concerned about acute kidney injury there is a lot of helpful information online. Use these links to find out more about your kidneys and acute kidney injury, connect with others with acute kidney injury or get support. Your kidneys are vital organs that filter your blood up to 30 times a day. They keep what is needed and get rid of what is not needed through urine. Each of your two kidneys is about the size and weight of a mobile phone. Placed end to end, the filters in one kidney would stretch about five miles. Your kidneys help keep your bones healthy by activating vitamin D.
Kidneys have some control over your red blood cells – if your kidneys are not getting enough oxygen they send a signal to your body to make more red blood cells and prevent you from becoming anaemic (deficiency of red blood cells). Your kidneys are responsible for keeping the components of your blood in balance. Your kidneys use one quarter of your body’s energy. They work 24-hours-a-day, seven-days-a-week for the whole of your life. They have a higher blood flow rate than your heart, brain or liver. Kidneys keep on working until they have lost up to 90% of their function. They are the unsung heroes of our bodies and don’t stop working until they really can’t cope. Your body can work with just one kidney so a kidney can be donated to someone who needs it with no detriment to the donor. There are a number of charities that provide support and advice for people and their families with acute kidney injury. Kidney Care UK (formerly known as The British Kidney Patient Association) was established in 1975 and works to improve the quality of life for adults and children with kidney disease. Kidney Care UK provides information and advice. They also give grants to help patients and families with kidney disease for the purpose of covering the costs of domestic bills, hospital travel, education and holidays during times of financial hardship. Kidney Care UK also gives financial support to kidney units throughout the UK to help improve kidney services and patient care. Infokid provides information for parents and carers about kidney conditions in babies, children and young people. They provide information about conditions, tests, treatments and supporting information – on screen or in downloadable leaflets. Kidney Research UK is a national charity dedicated to research that will lead to better treatments and cures for kidney disease. They also provide information for patients and raise vital awareness of kidney-related issues among the general public. Each year KRUK work to raise immediate awareness of kidney-related issues among the general public including people at higher risk. Their patient information service also provides advice and literature on how best to deal with each type of kidney condition, helping millions of people better understand the disease. Kidney Research UK is the largest funder dedicated to research into the causes and prevention of kidney disease. Money raised goes directly into research to find better treatments and ultimately a cure. Kids Kidney Research funds vital research for babies and children across the UK. The National Kidney Federation (NKF) is unique because it is the only national kidney charity actually run by Kidney Patients for Kidney Patients. Most renal (kidney) units have a Kidney Patient Association (KPA) specifically attached to that unit but in 1978 these independent charities realised that they needed a national organisation to fight their cause as renal provision faced difficulties in many areas. The NKF is a federation of 56 KPAs and they come together as the controlling Council of the National Kidney Federation, the KPAs are the ears and the eyes of the NKF. Patients make up the officers and executive committee and the workforce of the NKF. Unlike other kidney charities, the NKF has only two roles: campaigning for improvements to renal provision and treatment, and National Patient Support Services through their patients’ helpline and national advocacy service. 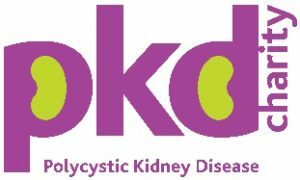 About 70,000 adults and children in the UK have Polycystic Kidney Disease or PKD – life-threatening inherited conditions that can cause renal (kidney) failure and affect other organs in the body. Over 12 million children and adults worldwide have PKD. We support those affected, fund research and raise awareness. The RareRenal website provides patient and clinician information on rare kidney diseases that are eligible for inclusion in the RaDaR rare disease registry. The site also contains information about nationally appointed expert groups (Rare Disease Groups; RDGs) and advertises patient information days and social media groups concerned with rare kidney diseases. The patient information on this site is accredited by the Information Standard.